Hannon Coach Tours (trading style of Hannon Coach Hire Ltd) is a company committed to customer satisfaction and consumer financial protection. We are therefore pleased to announce that, at no extra cost to you, and in accordance with ”The Package Travel and Linked Travel Arrangements Regulations 2018” all passengers booking with Hannon Coach Tours (trading style of Hannon Coach Hire Ltd) are fully insured for the initial deposit, and subsequently the balance of monies paid as detailed in your booking confirmation form. 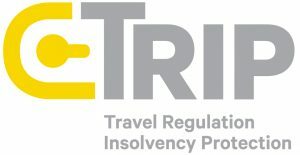 The policy will also include repatriation if required, arising from the cancellation or curtailment of your travel arrangements due to the insolvency of Hannon Coach Tours (trading style of Hannon Coach Hire Ltd). This insurance has been arranged by Towergate Chapman Stevens through Zurich Insurance PLC. In the unlikely event of Insolvency, you must Inform Towergate Chapman Stevens immediately on +44 (0) 1932 334140 or by email at tcs@towergate.co.uk – Please ensure you retain the booking confirmation as evidence of cover and value. Policy exclusions: This policy will not cover any monies paid for Travel Insurance or any claim relating to Air Flights. If you have booked flights as part of your travel, you should ensure that the company with which you booked the flights has the appropriate CAA/ATOL bonds in place. HANNON Coach Tours is part of the HANNON Group. Our experience in the commercial transport industry and our partnerships with key industry bodies, ferry operators and organisations allow us to provide a level of professionalism and reliability that few other coach operators in Ireland can match.